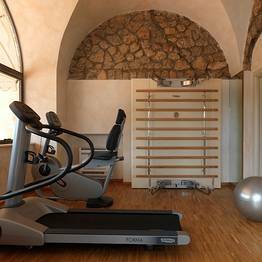 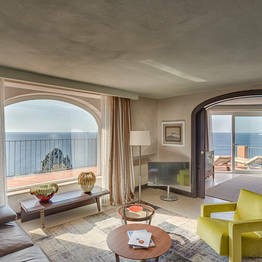 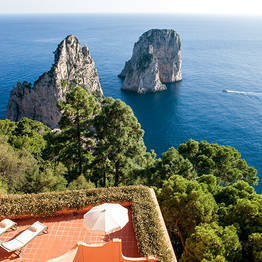 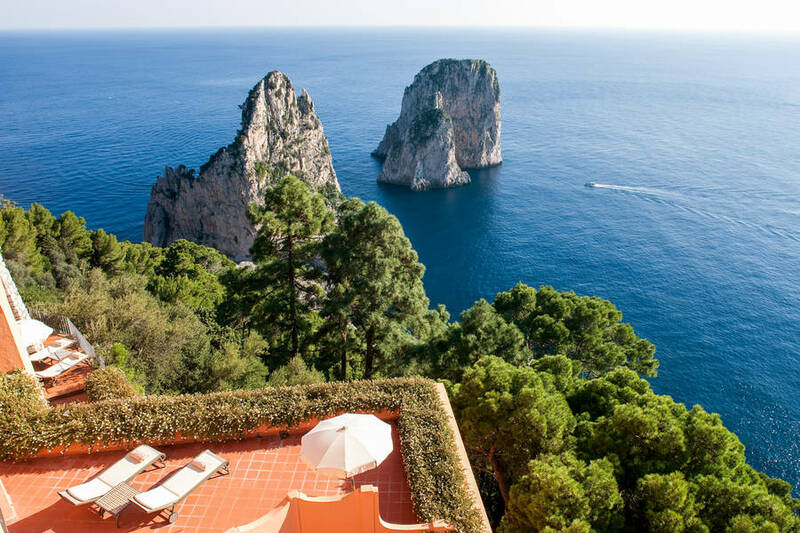 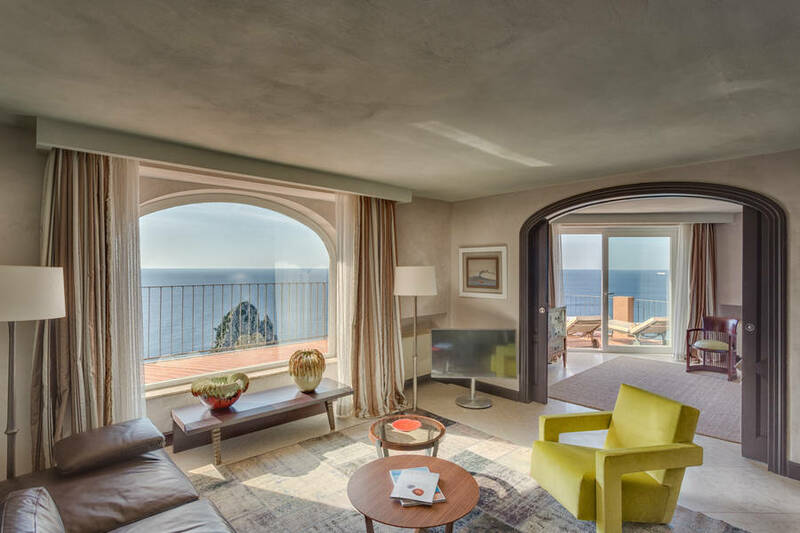 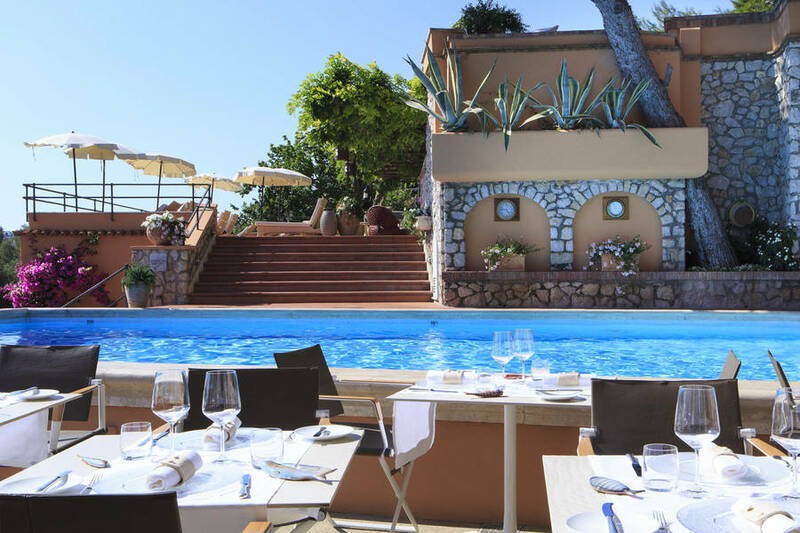 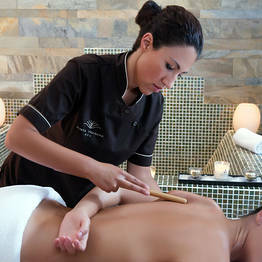 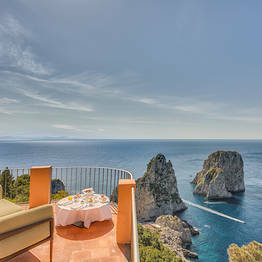 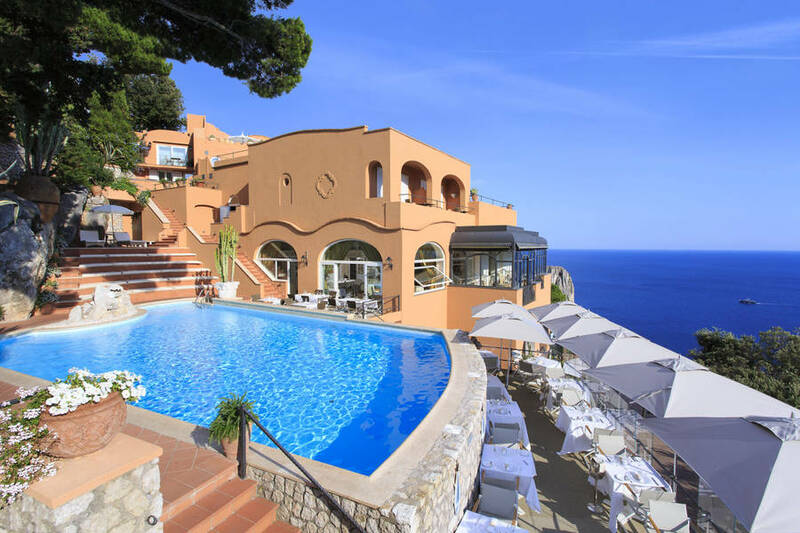 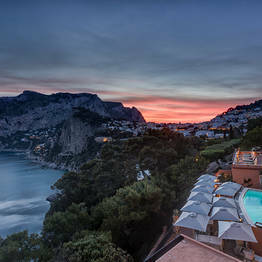 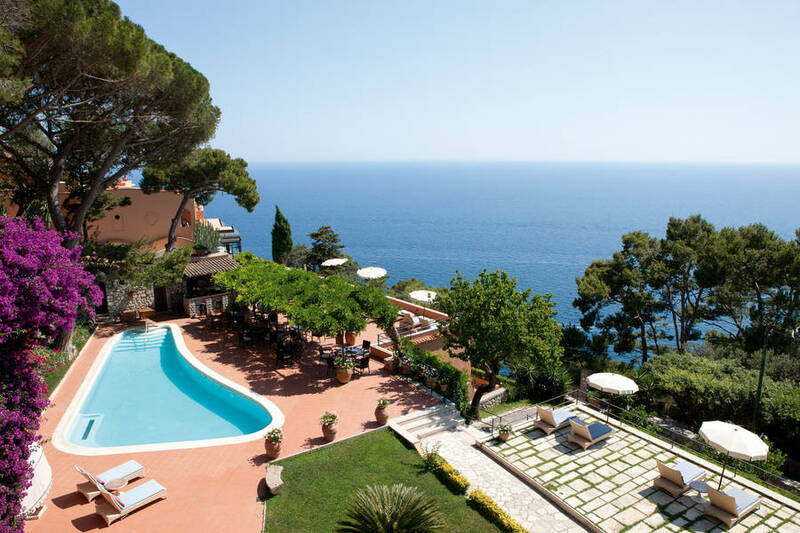 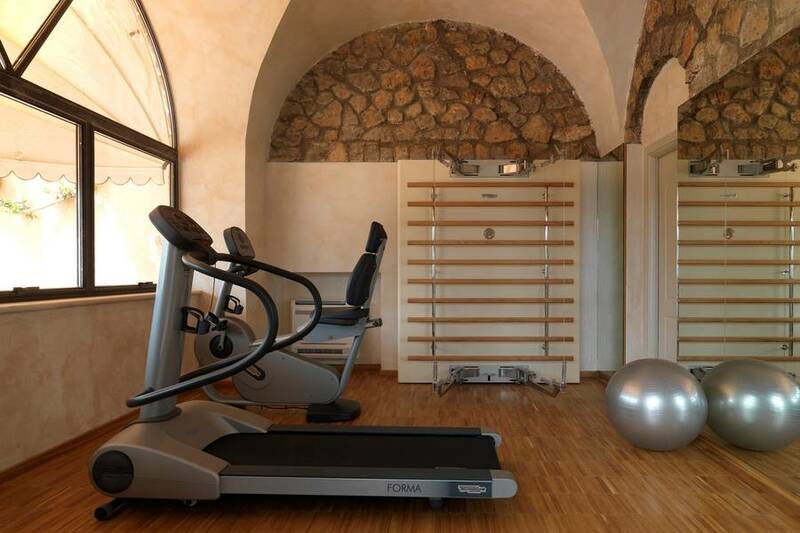 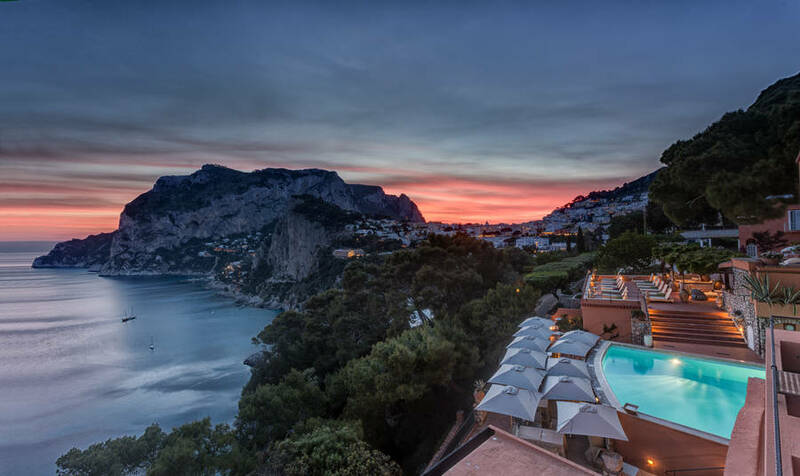 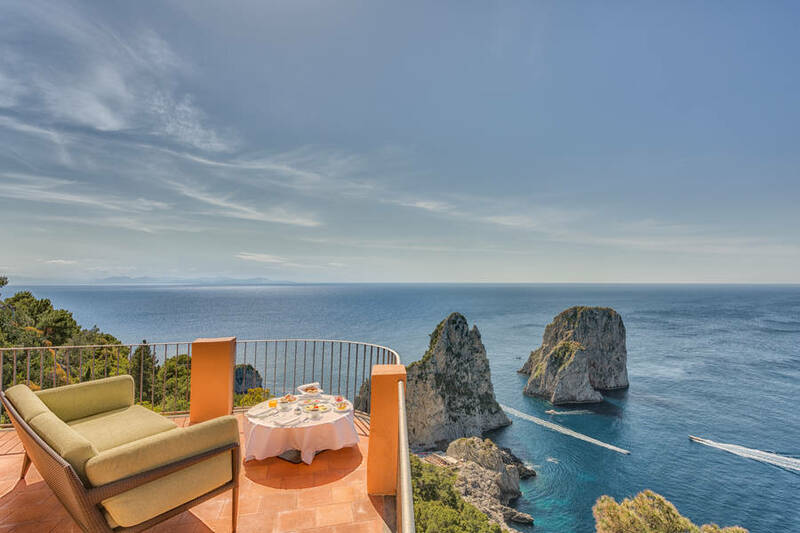 Combine your visit to Capri with a few hours of pampering for your mind and body at Hotel Punta Tragara's Spa. 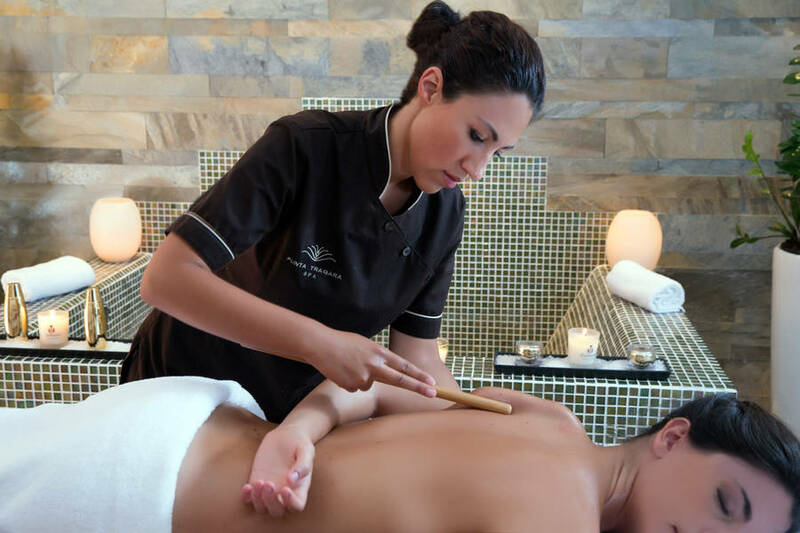 This exclusive retreat offers massages and beauty treatments to help you be in top form during and after your stay on one of the most beautiful islands in the world! 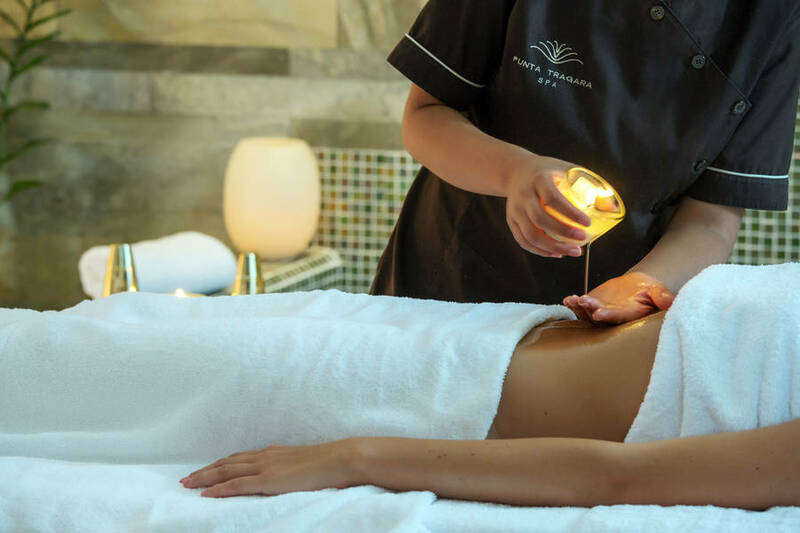 The professional and certified massage therapists at Tragara Spa are specialized in treatments for relaxation, circulation, and meditation...from toning to simple indulgence, there is a personalized massage perfect for every spa client among the exclusive offerings. 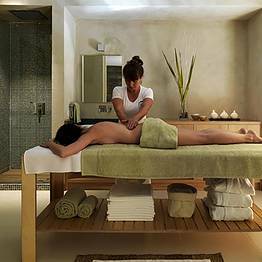 Need to rejuvenate legs tired from exploring the island? 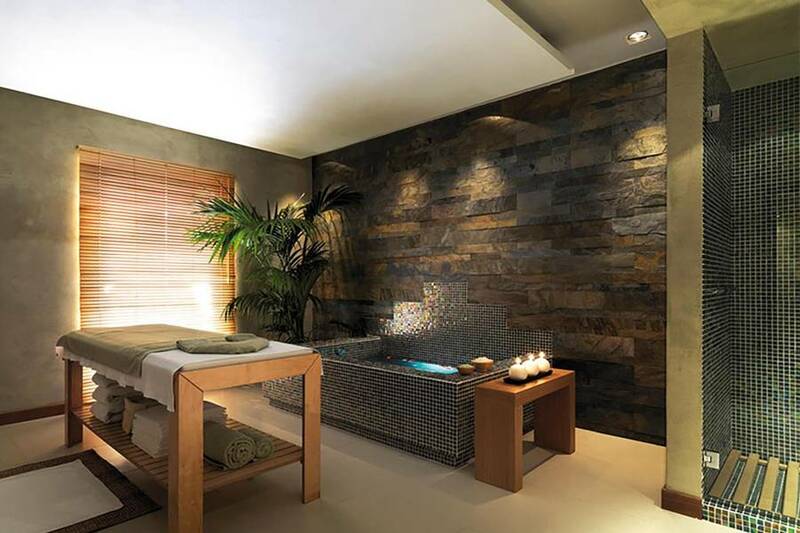 Book a thalassotherapy bath and jumpstart your circulation with Dead Sea salts. 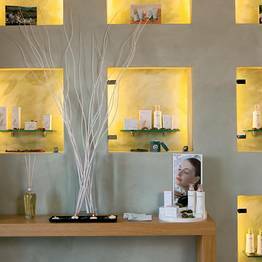 Tragara Spa also offers custom beauty treatments for all types of skin, and clients can enjoy peelings and facials in one of the four private rooms and relax afterwards in the outdoor lounge area. 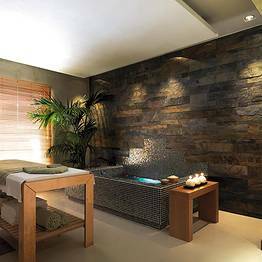 To finish your spa visit, soak for awhile in one of the two heated outdoor pools, and relax as the water jets massage your muscles, especially if they are sore from your session in the gym overlooking the garden, fitted out with modern Technogym equipment. 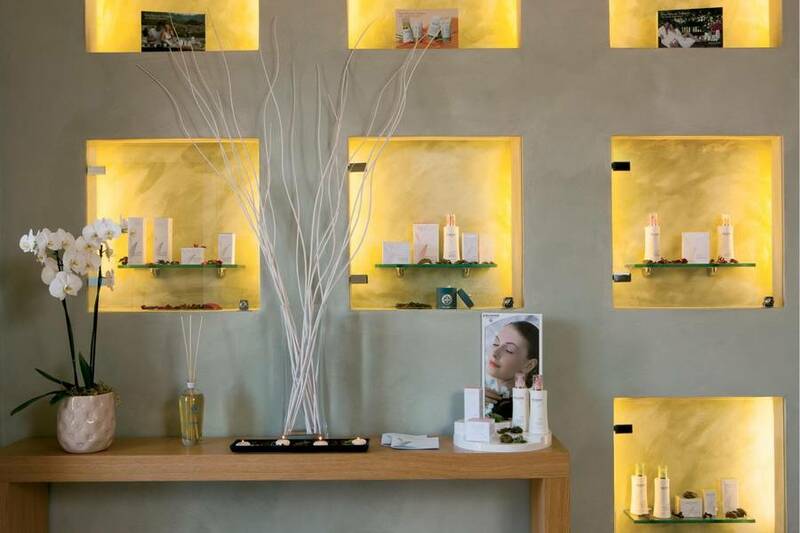 Tragara Spa is located inside Hotel Punta Tragara, a five star hotel just meters from the Piazzetta along Via Camerelle and Via Tragara, one of the most beautiful walks on Capri.